A chance at making the 2019 FIVB Volleyball Nations League is on the line, as the winner of the 2018 FIVB Women’s Challenger Cup will move on to next year’s big event. The tournament, hosted by Peru, will work into the championship match on June 24 to culminate the action. Results, standings and more can all be seen below. These two actually met in pool play of the South American qualifier in Lima, Peru as well, with the Peruvian side coming out on top in four sets. However, because Peru was already locked into this event, Colombia also advanced on to cause another match with the top two South American teams. In the rematch though, Colombia stunned Peru in straight sets to put the home team behind the eight ball. The two teams were nearly even in the opening game, with Clarivett Yllescas (11 points) pacing the host team, but the spread-out attack and duo of Dayana Segovia (16 points) and Amanda Coneo (16 points) pushed Colombia ahead. 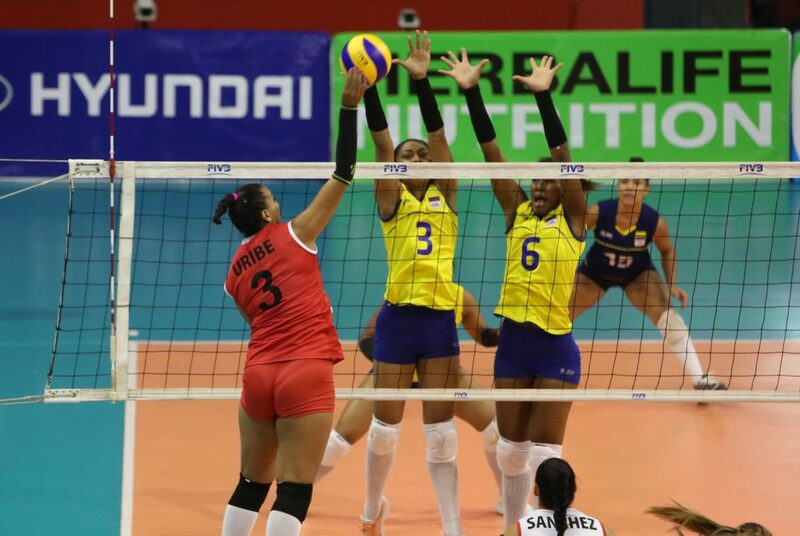 From there, it seemed as if the wind had left the Peruvians’ sails, and the overwhelming block (15-4) and serve (6-0 in aces) that favored Colombia became too much in each team’s opener. The Golden European League champions continued their momentum from just a week ago and rolled through Australia in a quick three sets. In total, Bulgaria sent Australia to a must-win game two by a total score of 75-42 as they have a big clash with Puerto Rico upcoming. The Bulgarian block was too much to handle for the Australians, as a 10-3 edge contributed to all facets of the game. That obviously effected the attack, where Bulgaria held a 35-21 edge in spikes. Not one Australian reached more than seven points either while five for Bulgaria had eight or more. Leading the balanced Bulgarian scoring was Hristina Ruseva (13 points), who led everyone in points and kills for the match.